For decades the Ruger Mini-14 rifles have been the choice for applications ranging from the farm and ranch to the deep woods or personal defense for law enforcement, security personnel and individuals. Their short barrels and overall length make them favorites in any application where reliability, maneuverability and ease of handling are priorities. 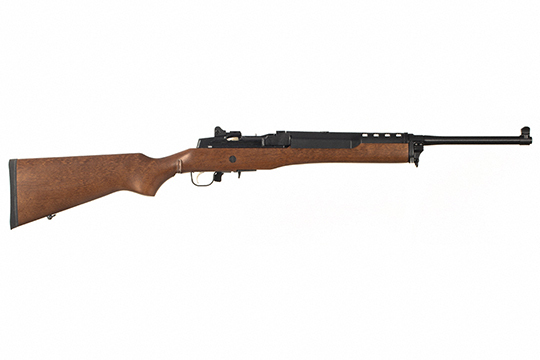 This Mini-14 Ranch Rifle comes with a 20 round magazine, features a hardwood one-piece stock, blued finish and a blade front and adjustable rear sight. For those looking for a more traditional style compact rifle with a wood stock and standard barrel, the Mini-14 Ranch Rifle will fill the ticket!